I’ve always loved blue and white ever since I was a little girl. I like its crispness and clarity and its affiliation with all things seaside. 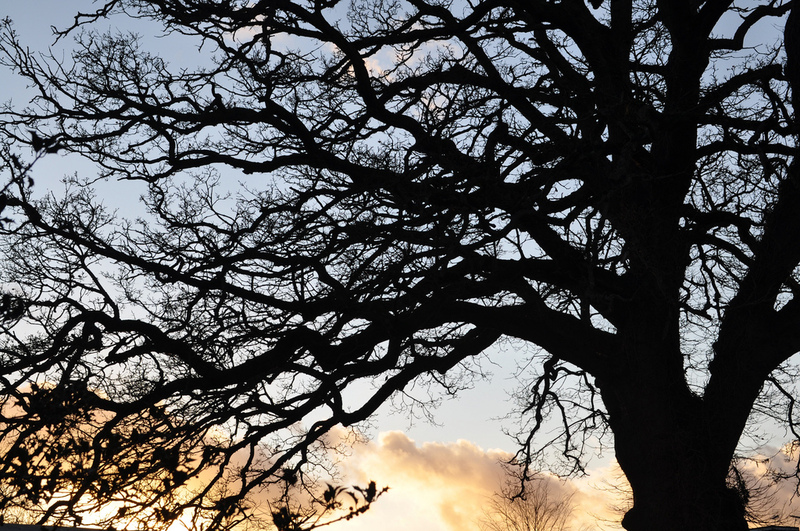 As I’ve got older however, and have started to inherit things, I’ve begun to realise it might also have something to do with hanging onto my memories of cherished people now gone. 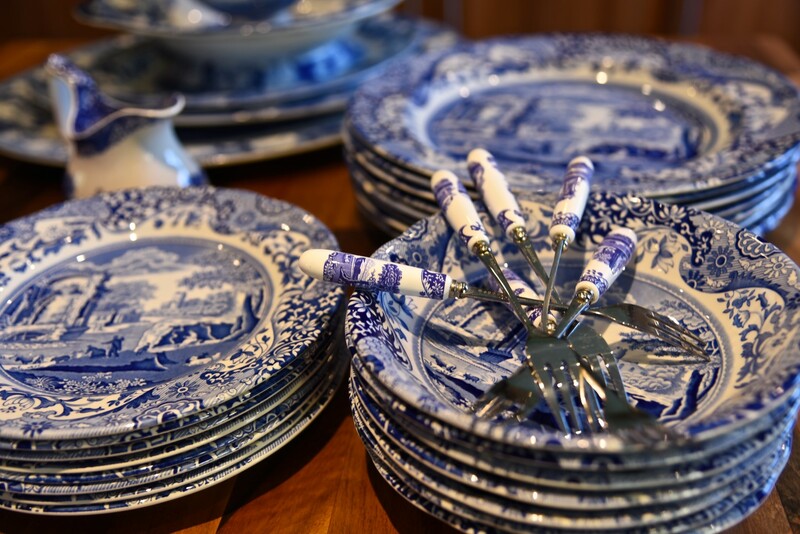 So it is with me and Spode’s iconic design, Blue Italian. 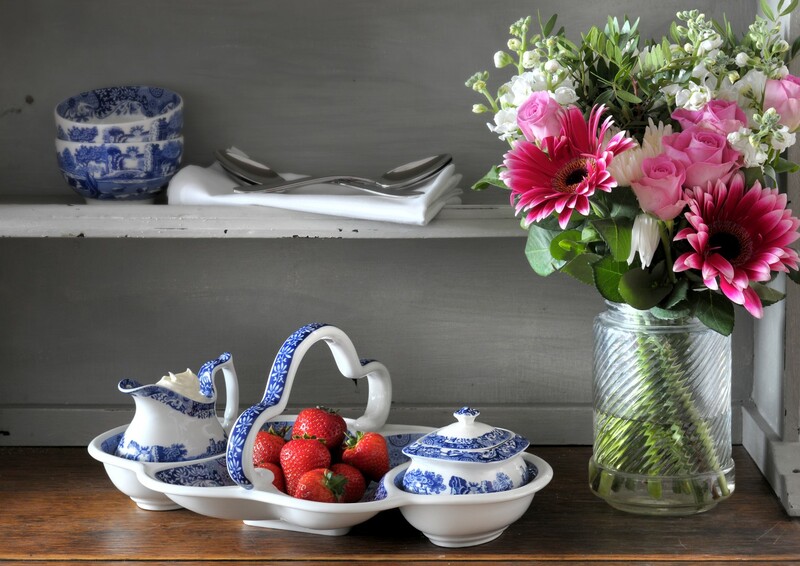 My kitchen cupboards are full of vegetable servers, serving platters and slightly damaged dinner services, all inherited from my great-grand mother and Great Aunt and through the generations – all Spode devotees. I haven’t always remained true to Spode, I have to admit – I have meandered off into a Conran-inspired white moment – but I can’t stay away for long. 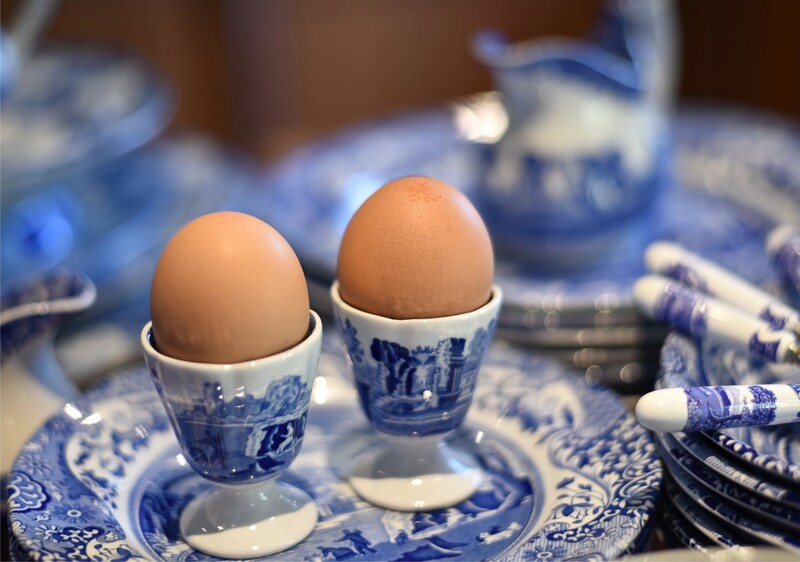 That longing for blue and white kept returning – as it did with a flourish at Christmas this year. 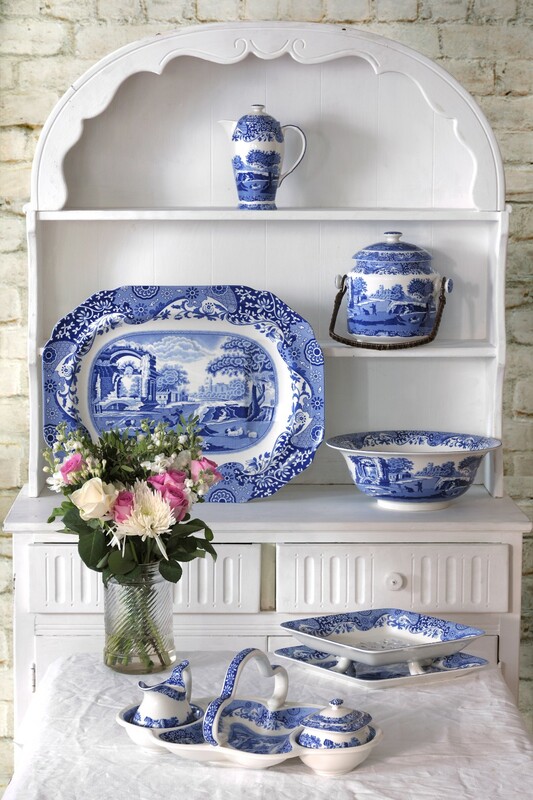 It isn’t just my family that’s been a fan of Spode Blue Italian over the generations it seems for this year this well known British brand, now owned by the Portmeirion Group, is celebrating its 200th anniversary which is an incredible achievement. 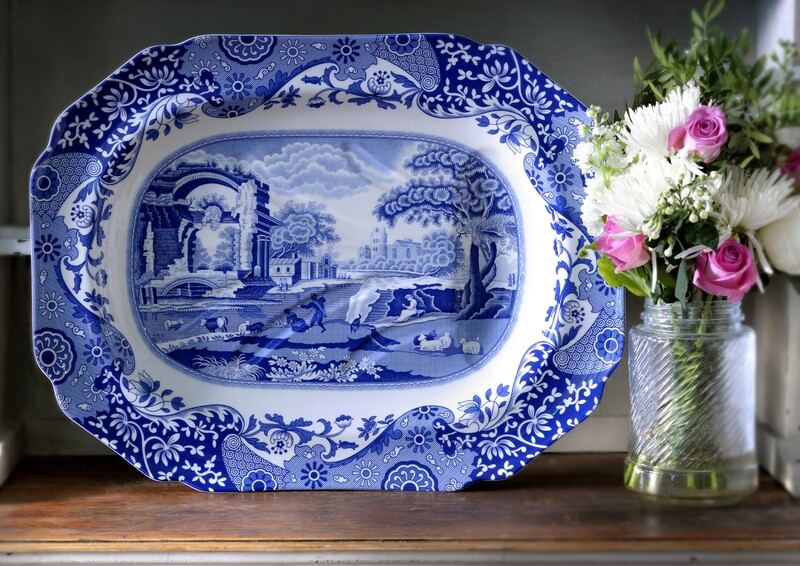 Josiah Spode I perfected the technique of blue under-glaze transfer enabling his factory to produce hundreds of blue and white ceramic designs – a major breakthrough at the time when Chinese imports were the rage. 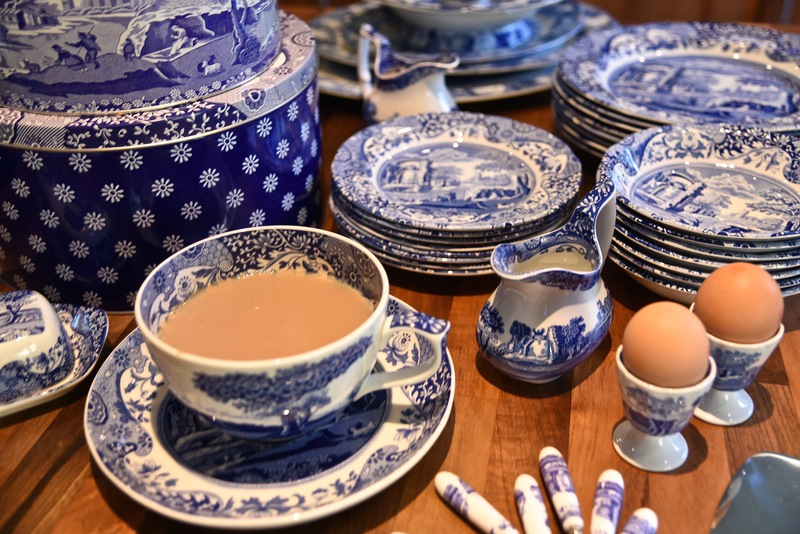 It was his son, Josiah Spode II, however, who launched perhaps Spode’s best known range, Blue Italian in 1816 and made history. The core image is of a finely detailed 18th century, Imari Oriental border encompassing a serene Italian countryside scene. Produced before the copyright act of course, it is still a mystery to this day as to which (and whose) painting originally inspired the design. I rather like that and hope that the mystery is never solved. 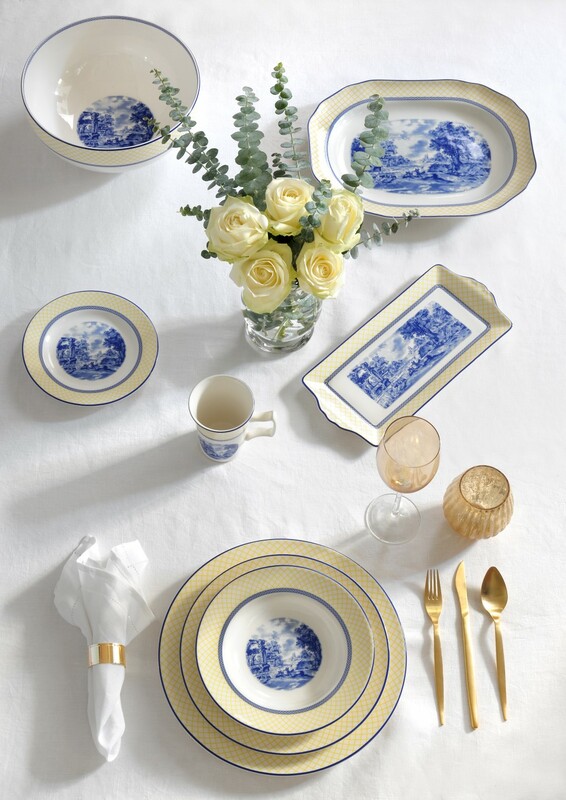 By 1827, Spode was firmly established as one of the leading manufacturers in the world and exported Blue Italian across the globe. Today, thankfully, the brand continues with the Portmeirion Group taking up the Spode mantle, producing it from their Stoke-on-Trent factory just 500 metres from where the original Spode site used to be. Kismet. So what will happen in 2016 then? Well, I’m lead to believe that there will be competitions, retail promotions, social media campaigns and charitable events this year to promote this Spode landmark as well as the unveiling of a stunning 200th anniversary collection (above – liking the biscuit barrel and the strawberry and cream plate especially) and a complementary Giallo collection – a modern reinterpretation of the classic design (below). Contributor & photographer of images one two and three: Sue Lowry. All other images courtesy of Portmeirion Group/Spode.